Cabo San Lucas, Mexico | What is the real name of this hotel? Regular Rate $2197 . Today Only $599! As the only all suite oceanfront resort adjacent to 2 championship golf courses and overlooking the Sea of Cortez, this premiere resort offers casual elegance and adds the crowning touch to Cabos most deluxe hotels. The resort is located one mile from the Robert Trent Jones designed Cabo Real and 7 other championship golf courses and a ten minute drive to the town of Cabo San Lucas. It features a large, majestic free-form swimming pool, health club and spa. The Hacienda open-air style of this resort combines distinctive Mexican decor, spacious and beautifully decorated suites with panoramic views of the ocean and Mexico's most exotic landscape. This Resort also provides a free shuttle service to Melia San Lucas Hotel every hour and from Melia San Lucas guests can go and Visit El Paraiso Mall, restaurants, and nightclubs. Elegant Accommodations With Incredible Ocean Views. Gourmet Dining At Six Specialty Restaurants. Limitless Top-Shelf Spirits At Five Festive Bars And Lounges. If I could have, i would have stayed two more weeks. My husband and I had the best time. We indulged in the couples massage which was awesome by the way. Everything was clean and grounds were well kept. This was an all inclusive stay so I enjoyed everything being available to me.. Great time had by all! Oversized suite featuring superior amenities including four-poster king size or two double bed. Separate sleeping and sitting areas in a single large room. Full marble bathrooms shower. Equipped with phone, bathrobes, slippers, in-room climate control, cd/dvd player, high speed wireless internet, alarm clock, with mp3 player docking station, electronic in-room safe, hair dryer, coffee/tea maker, minibar refreshed with beer, soft drinks, juices and water. Private and furnished terrace or balcony. You will be pampered with Gourmet services and amenities such as beach butlers, concierge, turn-down, 24-hour room service, premium beverages and Gourmet cuisine. The latter, which is the foundation for the Gourmet Inclusive Experience, has been lauded Superb, Best in class, Decadent and Outstanding. To us it simply means creating delicious meals in pleasant environments by our star chefs. 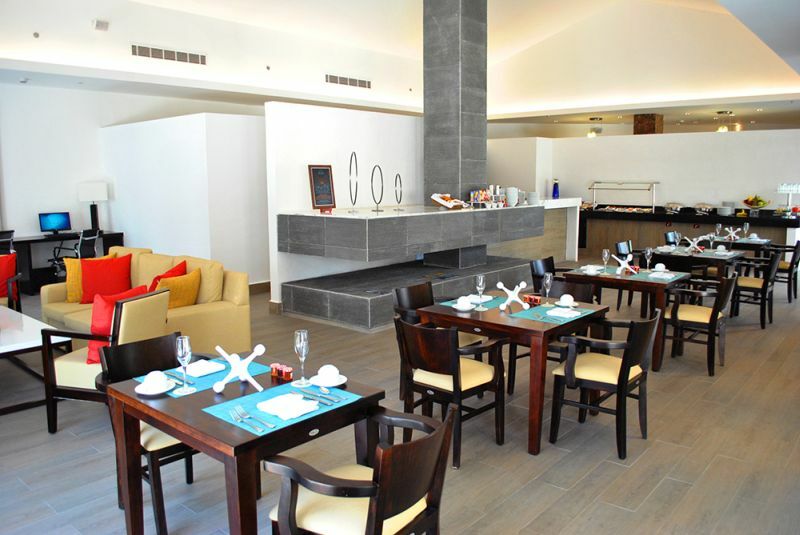 Here, you will be indulged with Gourmet hospitality every moment of your stay. National and International premium brand drinks. The right place for a tropical drink. Explore the innovative and traditional flavors of the Mediterranean. 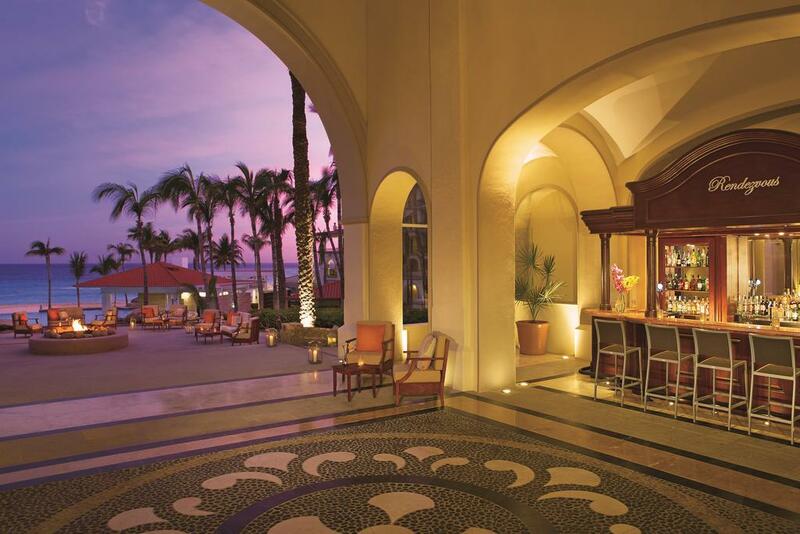 A la carte, fresh gourmet seafood presented in a quiet and romantic seaside setting. Savor Mexican a la carte cuisine in an artistic authentic ambience, open for dinner only, capacity: 102, dress code: formal. 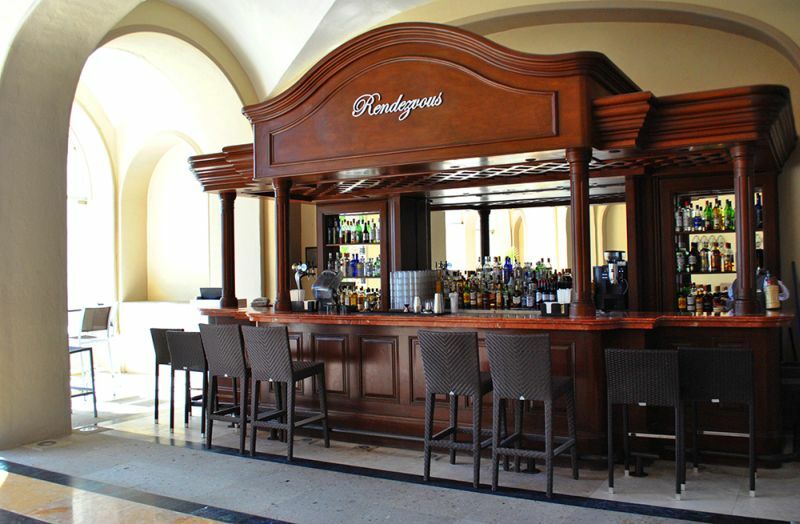 Enjoy live music during the night and savor the best cocktails. This bar has a magnificent view to the infinity pool which ends where the sparkling sea of cortes starts. Enjoy here the magnificent sunsets from the Baja Peninsula. Specializing in a fusion of Pan-Asian and oriental a la carte specialities, open for dinner only, featuring teppankaky tables, a unique sushi belt among others, capacity:158,dress code: formal. Thank you BookViP for amazing vacation and saving us a ton of money you will not be disappointed! We thought it was too good to be true but it wasnt, it has lived up to everything they promised us, we will definitely use BookVIP.com again. Beautilful hotel, beautilful beach and great food! We had an amazing time. We saved so much money by going through BookVIP.com. With BookVIP you are going to have a blast! This was well worth it. The trip was awesome and we lived like a king for a week! We stayed for our honeymoon (2010) and a separate trip with friends (2011). Fantastic time. Good food, not too crowded, nice amenities and staff. The crashing waves on the beach made for a great nights sleep at night and fun in the sun during the day. We would definitely recommend. Had an amazing time at Los Cabos. There is nothing the staff won't do to make you comfortable and happy! Food was great! Beautiful setting! Only one suggestion would be to add another jacuzzi - Adults Only over at the tranquility pool. Would return here in a heartbeat!! "Beautiful resort, wonderful staff... PERFECT wedding!!!" We had our wedding at Los Casa Dorada Cabo Real and I just wanted to say THANK YOU so much to every single member of your staff who made our special day absolutely and unforgettably PERFECT!!! A very special THANKS to Yesica Garcia, our wedding planner/coordinator, Elizabeth de la Pena of Adventure Photos, Gonzalo Verdeja of Art' n Colors Photography & Video, and Reverendo Marco Arechiga, all of whom contributed in their own special way with their talent, work and dedication... They were all wonderful to work with, and their finished products, whether in the shape of the wedding itself, the photos, or the video are things that we will treasure for the rest of our lives. I can't even begin to express how thankful we are for every little detail of that wonderful day!!! All of our guests also loved the resort and were very impressed with how all of the details of the wedding came together thanks to Yesica and the rest of the staff. I have and will continue recommending all of you to anyone headed that way. And we hope to come back soon! The people working at this resort are simply awesome! The hotel is gorgeous. It's about 20 minutes from the airport. Now, the food I'd say it's good. There is room to grow in this aspect. But, when you look at the whole picture, it was a great vacation! Will definitely go back! I stayed here with my boyfriend about 1.5 years ago (kinda late with my review, I know.) We decided on this hotel because most of the trip advisor reviews had good ones. This place was true to the reviews. It is a very nice hotel for the price. When we went there were many other couples and some families. It was a large hotel with lots of people, not a boutique. This hotel i know has a bunch of other chains in different areas of mexico.. cancun area too! The hotel offered many restaurant options- of which you need to make reservations ahead of time ( so be sure to do this when you arrive, because they did book up very fast) The restaurants had great service and were very welcoming. Food.. was what you would expect from a hotel in mexico.. ( ex. you are not going to have the best italian in mexico), but it was decent and the ambiance was great. The pool was lovely - nice infinity pool that does get crowded in the day time. The best part was taking advantage of the beach table service. Waiters will bring out drinks to your daybed and serve you - which was AMAZING, way better than hanging out near a crowded pool. There were many areas to lounge around so you could try a different place each day. Over all the room was nice , tidy had a rustic feel to it. And I have recommended this hotel to my friends because I know there was nothing to be worried about. What a fantastic place to get married! I have stayed here twice before and I can say that Los Cabos is amazing everytime I have been in the last 5 years. The staff are so welcoming and friendly. Yesica, our wedding coordinator was faultless and made sure everything was perfect. Danielle, wedding photographer captured incredible shots and made getting our photos taken effortless. Rev. Gorge was just perfect. Beautiful place, delicious food. Couldn't have asked for a better ceremony. There were 3 of us ladies travelling - we had one large suite with a connecting smaller suite, nice living area in between, 3 balconies, each room had a king bed. We were on the 4th floor, overlooking the adult pool - great view and location. Amazing amount of closet space, and 3 refrigerators stocked with water, soda and beer. So we loved the room. Went down to the Rendezvous Bar for a drink, then decided to get dinner and ended up at the Sea Side Grill. We ordered almost every appetizer on the menu plus entrees (had not been fed all day) and enjoyed everything we were served. We had amazing service from everyone at the resort. Maribel at El Patio for breakfast, Miguel at the adult pool for drinks, Israel at Oceana for lunch (the fish tacos are a MUST) were our favorites! Our main purpose for the trip was relaxation, and this goal was met! All in all a very enjoyable week was had by all! I would return to this resort as the design is great for either families or those wanting quiet. The food was great, I would have preferred a few other options for restaurants but the overall food was great. Recently married at the resort in November. Can't say enough good things about the staff, resort, ambiance and service. Yesica Garcia (wedding coordinator) was amazing! Housekeeping, turn down service was a 6 star job. Will definitely come back soon! thanks for making our week the best one of our lives! My wife and I stayed here for our honeymoon and had a blast! The resort offers a great variety of places to eat and were extremely helpful to assist in doing excursions away from the hotel. Our room had a wonderful view and was larger than we even needed. We liked that there were two pools on location. We enjoyed spa treatments onsite and the swim up pool bars were very convenient! We would absolutely stay here again!! We stayed at Los Cabos in August 2013 and it was a terrific vacation! We were told by the staff that we there doing low season, which was perfect for us. Particularly enjoyed the Tranquil pool and AWESOME service by Miguel (we really missed him on our last day there, since this was his day off). Not all of the food is great, but there were a lot of different options and we seemed to find our favorites and order them multiple times. The times we ordered room service it was very quick. We travel quite a bit and are picky travelers, but have nothing bad to say about this resort and would definitely return. My girl friend and I spent seven days at Los Cabos and cant wait to book our next trip back there! Our room was fantastic, great Ocean and main pool view. The staff were always eager to help with any of our needs and wants. The food and service was very good and we enjoyed all the restaurants that we eat at. I have to say it was the most relaxing vacation I have ever had. Wonderful stay at this beach side resort. The service is OUTSTANDING. The staff recognized me at every turn and addressed me by name with such hospitality. I truly feel the staff wanted my stay to be the best and it was! I would stay here again! We've returned recently for some R & R and came home very relaxed. The service all around is very friendly and helpful. The grilled fish tacos at Oceana are a must and the sushi chef made us a special treat one evening. The beds are very comfy. We love the tranquil adult only pool. I tipped in the morning and never had to leave my lounger once to get a drink. Just a side note, this is our 3rd time to Los Cabo and November is a perfect time to go. We found Jan/Feb trips on the cooler side. "Had the time of our lives"
We visited Los Cabos for a wedding. The wedding was gorgeous and the food was excellent. The resort staff was so friendly and made us feel very comfortable. We went on a Photo Shoot on the beach and around the resort, and we had so much fun! They really took some great pictures of my husband & I. I would love to return again in the near future. My wife and I had a great time at Los Cabos. Our accomodations were the prefered level on the sixth floor room 612. the prefered lounge was nice as it always had some good food and drinks with a great view. The room was high enough that the noise from the main pool area did not bother us, we left the sliding glass doors open at night to listen to the constant pounding surf. Housekeeping always did a excellant job cleaning the room...turndown was great as well, by 7 pm the room would be a disaster again and would be like new when getting in from dinner. We ate at all the resturants. Portofino was our fav, El patio least, but we're not huge fans of Mexican food anyways. The drinks were good, but sometimes should ask for a double. Antonio at the main pool bar was the best. Always in a good mood and he has your drink in hand before you can ask for it. Attention managment, give that man a raise! My wife and I also did the shuttle to downtown Cabo which was $12 pp round trip. Overall this resort is nicely maintained with good food and drinks, all of the staff was very welcoming and made us feel at home. We'll be coming back next year for sure! Well this is our 6th time at this resort, Oct 26th thru Nov. 2nd and we love it more everytime we go there. The resort is amazing, the staff goes out of their way to be accommodating, especially Adriana in VIP, Johnny from Recreation and Alan & Miguel at the seaside restaurant. We just had an amazing time. We met nice people from Arizona there and will remain friends with them for life I hope!! I feel the food was very good and we had no complaints. The waiter at Portofino's made us Mexican coffee with a whole fire show that was outrageous!! I could go on and on, but I think you get the idea.........WE LOVE IT THERE!!!!! 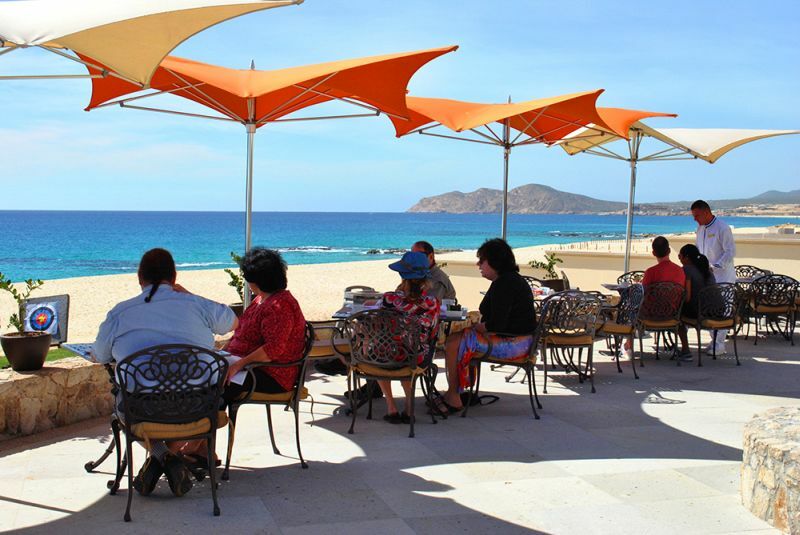 Casa Dorado Cabo Real is amazing!! I had my wedding there and they did a phenomenal job! Absolutely amazing wedding and Yessica the wedding coordinator is the best! I recommend this place to all!!!! I just spent a week at dreams and it was great. My husband and I have traveled together for 32 years and for a beach vacation this was one of the best. The food was very good drinks abundant and the area has lots to offer. We swam with dolphins, sailed snorkeled and I got my bucket list ride on the beach, something that can't be done on US beaches. There are 2 beautiful pools with swim up bars instead. Great for children too and weddings. To get married here is beautiful and very economical too I have heard. 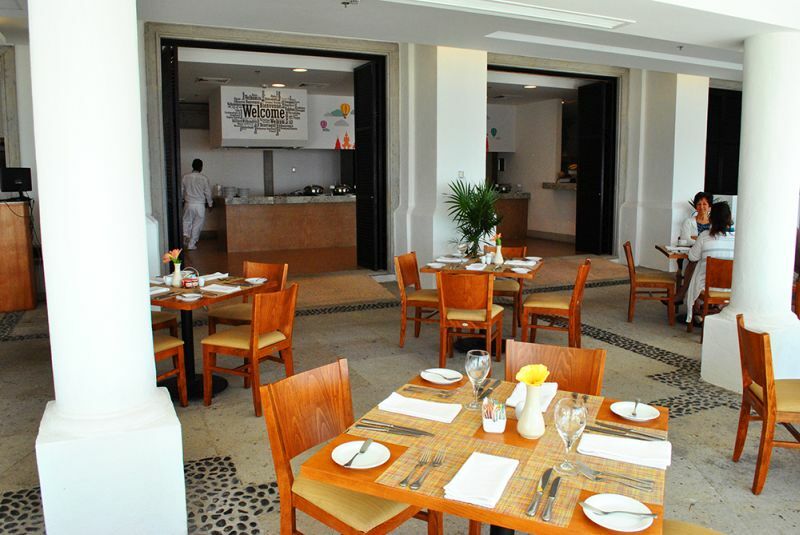 A big thumbs up for Casa Dorada Cabo Real. I stayed at this resort for a long weekend with a group of girlfriends celebrating a bachelorette party. There were 14 of us in the party and the resort was very accommodating to our needs. The rooms were well appointed and clean. The bed was heavenly - not too soft not too firm. There are 2 pools. The "quiet pool" was nice but the infinity pool was simply stunning. Amazing view. Great music. Swim up bar. Just perfect. The food was good. Not gourmet but completely satisfactory for an all inclusive. I did not use the spa services but some members in our group did and they were pleased with the massages they got. Downtown Cabo is about a 30 min right from the hotel but there is a shuttle that will take you there if you want to shop or eat off the resort. The beach was really nice too. The sound of the waves crashing onto shore from under the palapa was soothing and the breeze heavenly. I hope to be back soon. Regular Rate $ 2197 . Today Only $599!